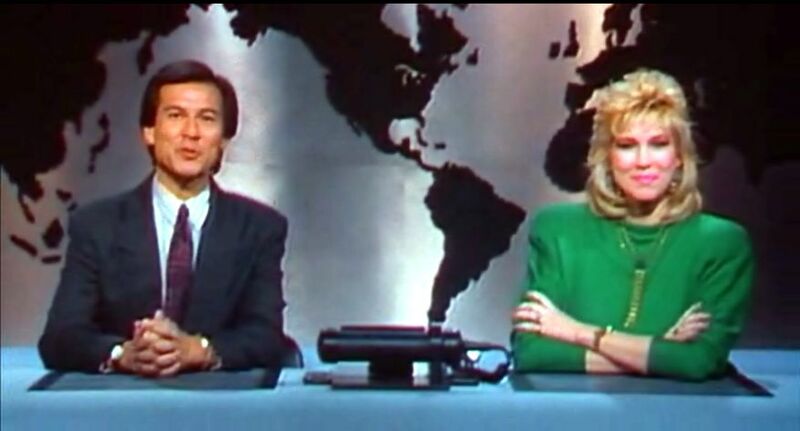 Robocop's greatest reporter, Mario Machado, has died at 78. According to The LA Times obituary he had Parkinson’s disease and died from complications of pneumonia. In real-life, Mario Machado (whose real name was Mario Jose de Souza Machado) was an eight-time Emmy Award-winning television and radio broadcaster. In 1970, he made televison history by becaming the first Chinese-American on-air television news reporter and anchor in the nation. Machado played a generic reporter in several films like Rocky III (1982), Scarface (1983), and St. Elmo's Fire (1985). But, to sci-fi fans, his greatest work was as Casey Wong in the three Robocop films. His dry delivery and soft smile perfectly compemented the horrific news reports he delivered for the Channel 9 show Mediabreak. Happy Trails Machado. We gave you three minutes. You gave us the world. Do you remember Machado from the movies or TV? Those newsbreaks and the accompanying commercials were so great. He was seventy-eight? Robocop doesn't seem that long ago. I'll always remember Robocop. Can't believe he was 78. They were! The satire was subtle, but pointed. I still keep thinking the 80s were twenty years ago Alex. Bwah! Ha-Ha! I hope he's in the remake! It's a great movie Nutschell, and he lived a long life. I don't remember him, but I only saw Robocop once. Superb under-rated film, particularly for it's satire and humour. I remember the newsflashes although I'd never heard of Machado. Maurice how about some more features on actors, alive or dead, who play minor but memorable parts like this? Also who was his co-anchor? This movie has a surprisingly small body count but almost every kill is a WTF moment. My popcorn-down moment was ED209 shooting the guy out of the window but the melting scene was quite a shock too. Yeah Gene, it's more shocking than gory today. Thats a great idea Gene, but I'll have to figure out how to narrow it down. He was so good at being the "generic newsman" that you never notice him.